The purer the limestone, the more fissures it has and the higher content of CO2 in the rainwater there is - the process of erosion is more intensive. The seeping water loosens up the stone creating cavities that, as time goes by, become gaping holes. The process of karstation affects only soluble stone, especially the Dinaric limestone (a sedimentary rock that is largely comprised of calcium carbonate) and covers more than 80% of the Croatian coast. Due to clearing of forests, mostly by the charcoal makers (who provided the land with one of the most important energy sources), the regions revealed themselves as more and more prone to erosion. So the /naked karsts/are actually human-made. Most of it converted into karst when the coastal region fell under the Venetians. The forests were almost completely cut down because of Venetia's need of lumber for building their vast flotilla, but also to construct the city. Venice was built on thousands of stilts coming from Istria and Dubrovnik region. Also, a type of Croatian limestone called the "Istrian Stone" was vastly exported to build the foundations of the city of Venice. This hard limestone is often mistaken for marble and is particularly water resistant, making it perfect for the base of a city under water. The same limestone is used to pave Stradun street. The White House in Washington, D.C. also drew upon a type of Croatian limestone to help build its white columns. Karst regions are not necessarily sparse in vegetation - maguis and smaller similar shrubs formed in many of the karst regions of Croatia. The vegetation is dominated by the low, frugal plants capable of surviving the harsh climate and soil conditions. 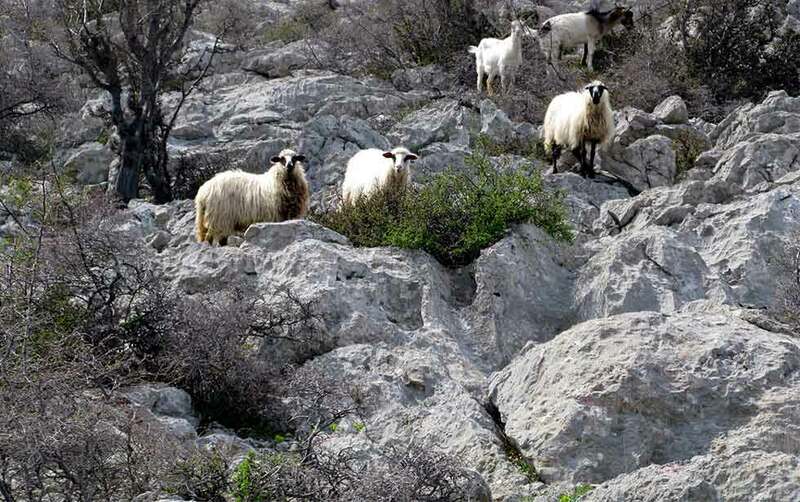 During summer, the karst is often covered by aromatic herbs - thyme, rosemary , lavender, sage and other. Nevertheless, small flowers such as anemones, daffodils and lilies found their place and adequate nourishment.